David Sabin with the OPD Color Guard. Photo by Alyssa Schnugg. Veterans gather at the Mississippi State Veterans Home Monday for a Veterans Day Ceremony. Photo by Anna Grace Usery. Ray Wilburn, commander Ray Wilburn, welcomes everyone to the National Guard Armory for the Community Ceremony. Sitting, from left, Lt. Zak Smith, Lafayette County Supervisor Jeff Busby and Oxford Mayor Robyn Tannehill. Photo by Alyssa Schnugg. From left, Col. Lee Jones, Cpt. Michael Tait, acting administrator Pamela Thrash and Cpl. Jeffrey Veazey stand during the national anthem at the Mississippi State Veterans Home in Oxford. Photo by Anna Grace Usery. 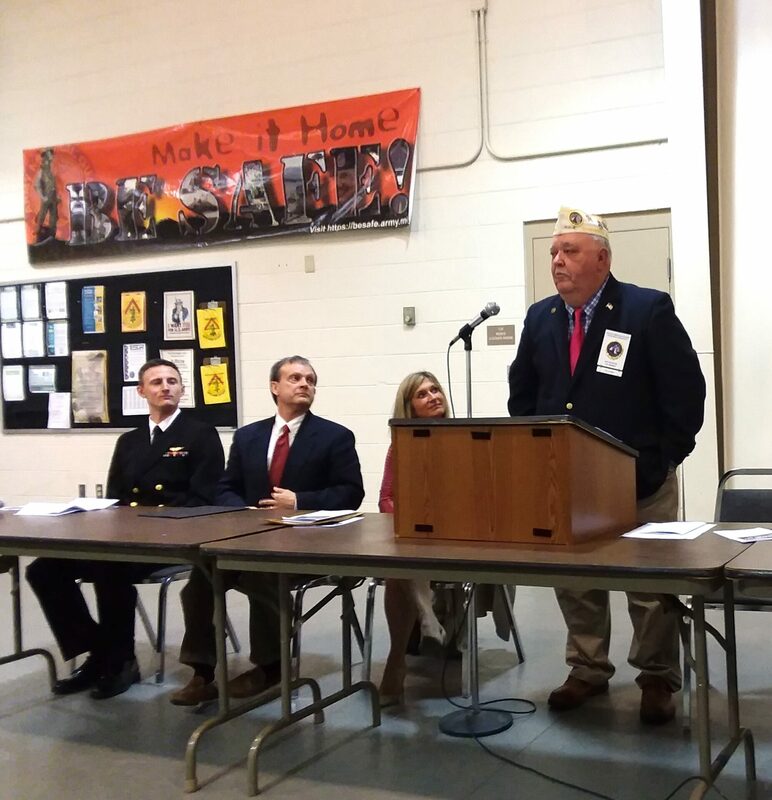 As commander of the Veterans of Foreign War Post 3978 in Oxford, Greg Lovelady announced Monday during the annual Veteran’s Day Ceremony Gail Wilson, was chosen as VFW Veteran of the Year. However, Lovelady himself, was also chosen a Veteran of the Year, but for the American Legion Post 55. About 40 people attended the ceremony at the National Guard Armory despite the cold and rainy morning. 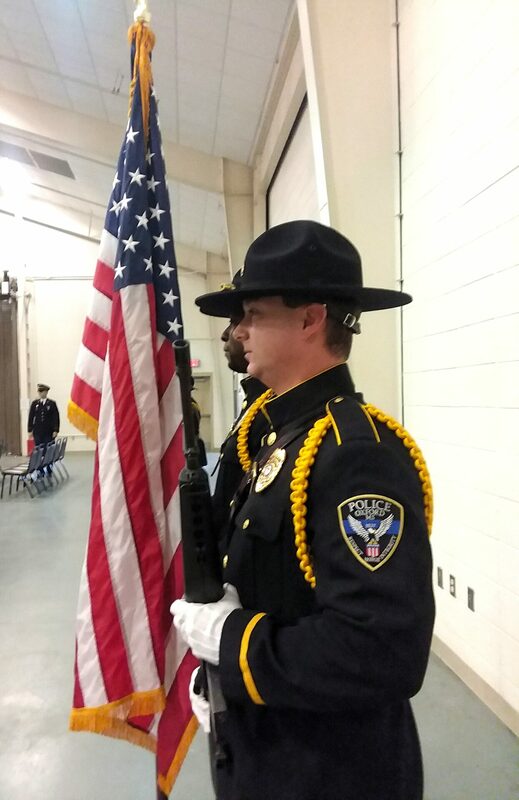 The Oxford Police Department Color Guard presented the colors and Jim Nesbit, a retired U.S. Marine, sang the national anthem. Pastor Jody Schmelzer of Pinelake Oxford Church, gave the invocation and benediction. 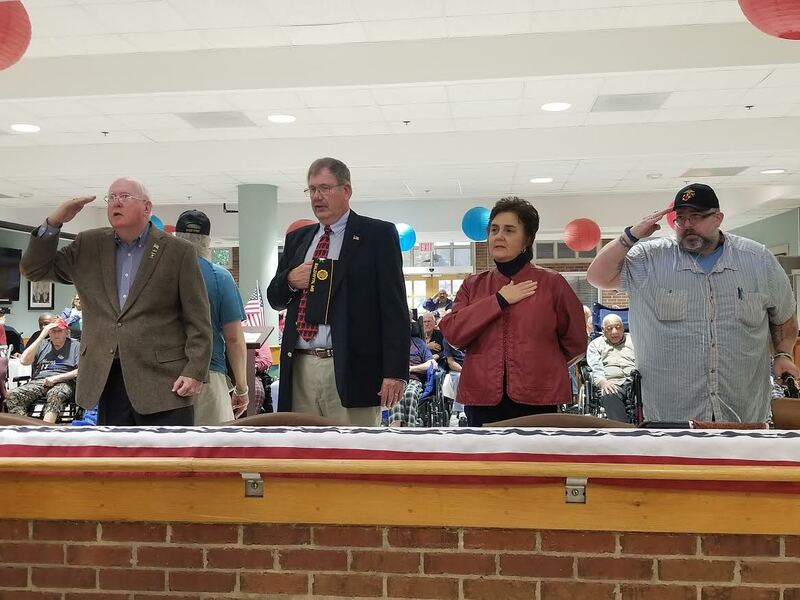 Mayor Robyn Tannehill and Lafayette County Supervisor Jeff Busby welcomed the community and thanked the attending veterans for their service. Lt. Zak Smith, Ole Miss Navy ROTC operations officer, was the guest speaker during the ceremony. He talked about the ROTC program at Ole Miss and the quality recruits that go through the program. He said the average GPA for students in the NROTC was 3.4. 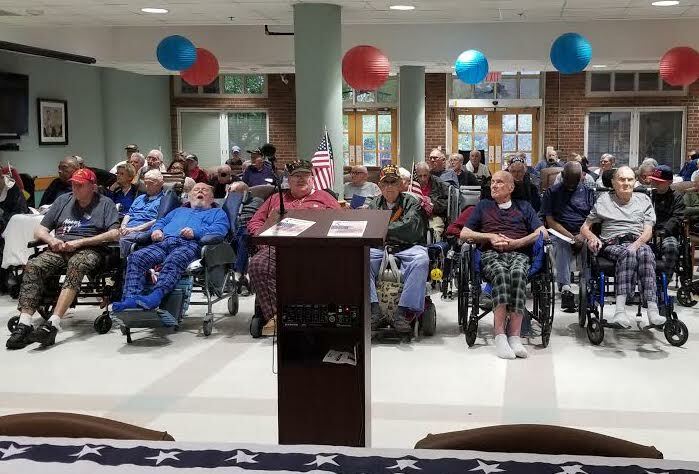 Across town, community members, veterans and their families gathered at the Mississippi State Veterans Home of Oxford to honor those who served in foreign wars that determined each American’s freedom. Dozens of veterans wore their military colors proudly, representing each branch as they sat awaiting the ceremony to commence. Col. Lee M. Jones, master of ceremonies, introduced the new acting administrator at the home, Pamela Thrash, and handed the reins to Corporal Jeffrey Veazey, U.S. Marine Corps (retired), to lead the group in prayer. Jones asked the veterans to salute as the Oxford High School JROTC processed into the common area to present the colors. After the Pledge of Allegiance, National Anthem and retiring of the colors, the University of Mississippi’s Men’s Glee Choir sang a united salute to the Armed Forces. J. David Shanks Sgt. E-5, U.S. Army was the event’s guest speaker. His military service spanned from January 1971-1974 where he served as a mechanized stock control and accounting specialist and MP. 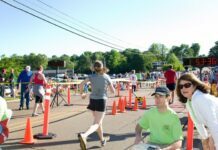 After leaving the service he became an insurance agent, patient account manager at Baptist Memorial Hospital and small business owner. He retired and now lives in Saltillo with his wife. The nature of our military changed dramatically when the draft was abolished. Many more recent veterans were professional soldiers, not “everyman”. Our Nation has changed, as well. The equality imposed by the draft and the common purpose it instilled in the general population seem to have lessened. Changing the makeup of our military eventually changes our views of veterans, as well.